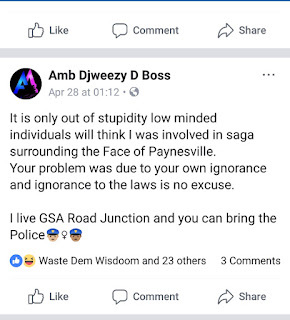 On April 26 - Liberia Intellectual property Office LIPO named DjWezzy as one of their IP ambassadors, a position that led to change of name by the Dj, from Djwezzy D Boss to Amb. Djwezzy D Boss. Immediately after, Billikon CEO, Lyee Bility took to Facebook to question LIPO vetting of their ambassadors, a scene which started a negative episode between Mr. Bility and Naymo Records CEO Sam M. Payedoo (Djwezzy). Check out the screen shot below. 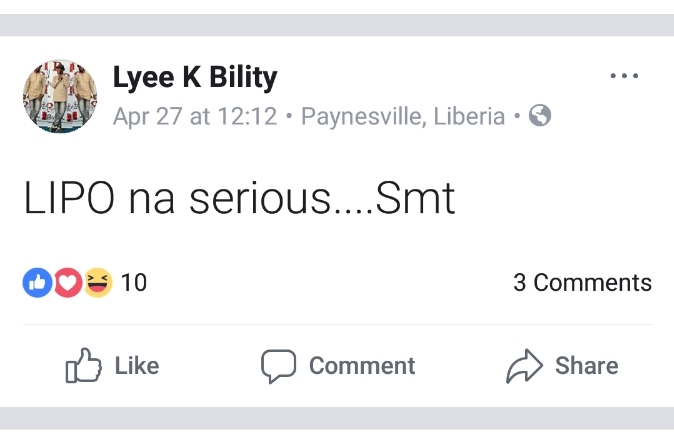 It is unconfirmed if the SNG artist, Yung Muse has legally dropped his Liberian nationality, but one thing for sure, it is dropped off his social media page. 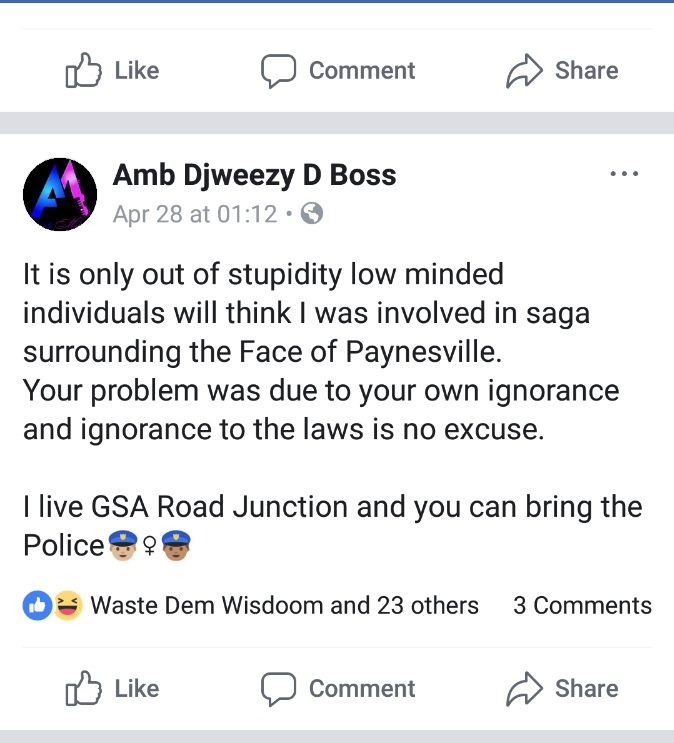 Yung Muse who is known for trying to sing and act like a Nigerian, is no longer waving his Liberian flag. On the artist Instagram page, he is waving the Nigerian flag high and there is no trace of his Liberian roots on his page. It is very clear that he doesn't want to be identify as a Liberian. So be it. check out his Instagram page below. 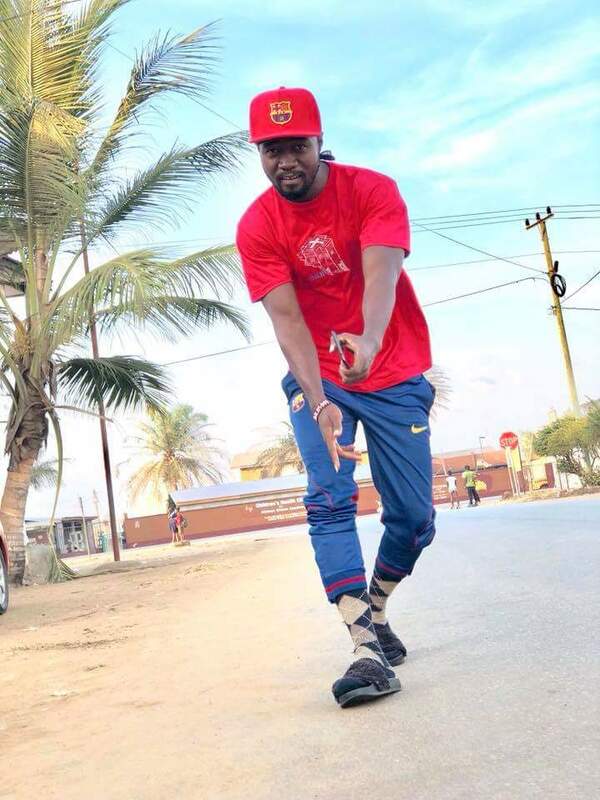 The success of Bucky Raw's latest album 'Cs2' is taking over the internet. The Trapco king Album gained the #1 spot on iTunes World Music chart. One of Africa's biggest music producer, Don Jazzy has joined in on the celebration. He gave Bucky Raw a shout out recently on his Instagram. Congrats Bucky. Alice Sumo is a respected nurse in Liberia where she has been a midwife for nearly three decades. She was so loved and respected in Montserrado County that 1,000 babies have been named after her. Alice, whose name means 'peace', has worked through the civil war and Ebola to do her job. She delivered her first baby at gun point at the side of the road. In her three-decade career, she did not stop working even during the epidemic which claimed nearly 5,000 lives in Liberia in 2014 and 2015. New mothers who Alice has cared for and supported through their pregnancy have called their daughters after her or if it's a boy, named him Alex. Alice now runs a maternal health center opened by Save the Children in her rural community. The children are a living testament to the impact Alice has had in Liberia. Alice Sumo is a respected nurse in Liberia where she has been a midwife for nearly three decades. The Rice Riots or "Black Saturday"
Benji Cavalli Drops New Video "Slow It Down"
DenG Reveals the Hidden Message in His Song "Kemah"
Jon Bricks and Berenice Mulubah Announces New Record Label "Zama Records International"
Liberian international artist Jon Bricks. Never let a drop of water go to waste. Review: The I Love My Life Event: Is It Worth Your Time? Scare to date. Dating. Relationship advice. Skoolboy Wizzy and Tru Storry: Will They Fire Back? The 2015 MTV Africa Music Awards Winners! Transforming from Bucky Raw to Manolo.